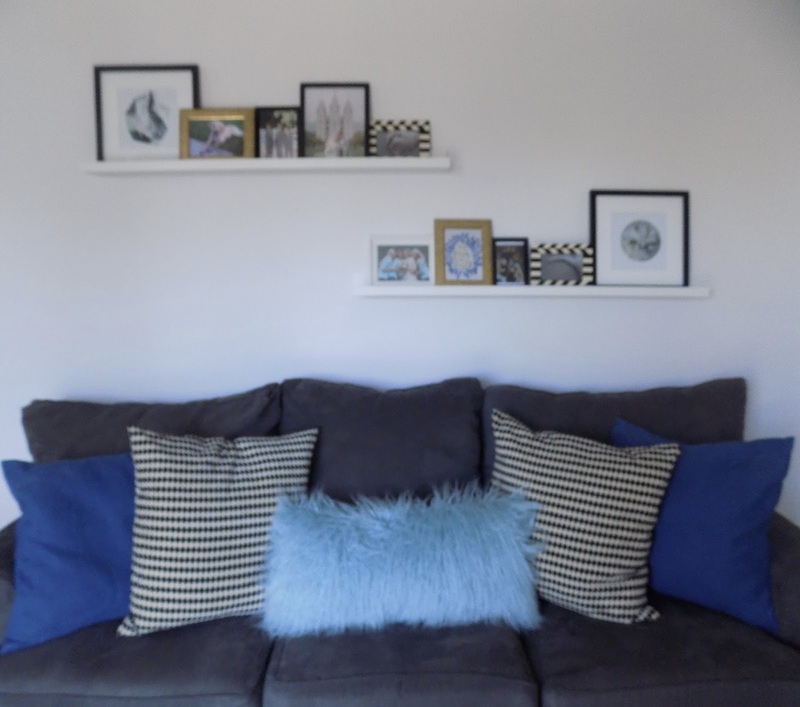 For today's Makeover Monday post I wanted to share with you the picture ledges we finally got up! 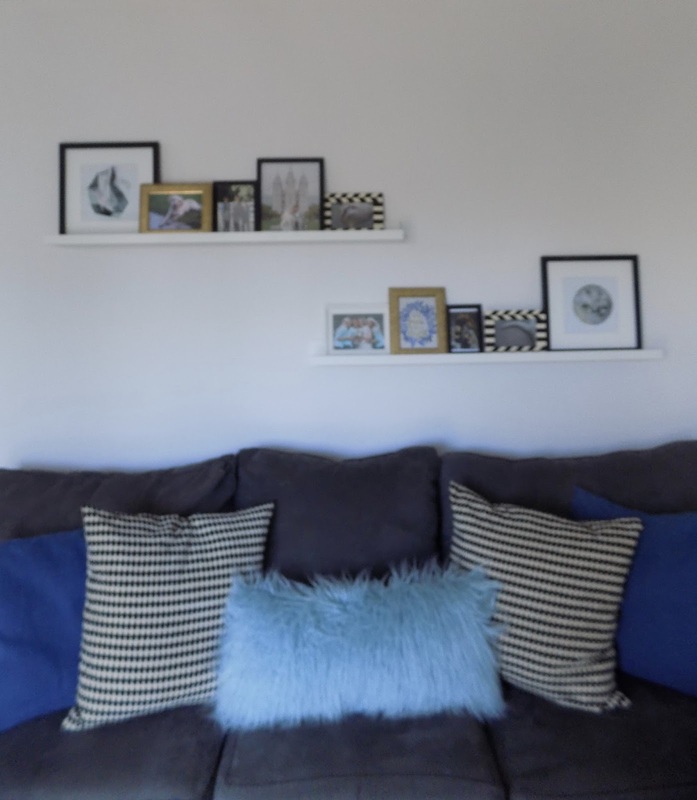 I love to document so I love to display pictures around the house. We wanted to put these up in our apartment but decided to wait until we go into our home. Our family room is mostly cool colors. We hope to eventually paint the walls blue to bring it all together. To pull the colors into the photo ledges I printed out some illustrations that I found on Pinterest that matched the rooms colors. Over all I think it turned out nice. 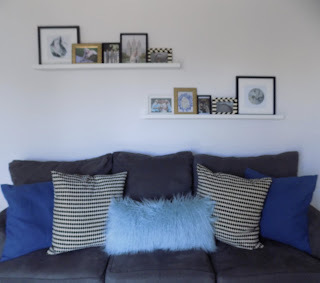 What are some creative ways you display pictures in your house?